Blues, a quintessentially American music, contains a fundamental irony: singing about hard times, disappointment, broken hearts, homelessness, intoxication, betrayal, and violence makes the singer and the audience feel good. 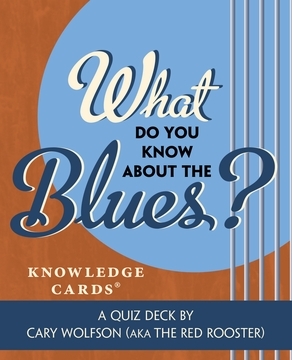 This deck of 48 cards explores the paradoxical genre in a question and answer format (perhaps call and response is more apt) that is equally satisfying as a raucous test of multiple players' blues knowledge or as a quiet solitary read. Combining solid scholarship with wry, informal prose, What Do You Know About the Blues? does its subject proud. Most cards include tips for recommended listening.